I've been feeling the fear a lot lately: that paralyzing feeling of uncertainty and self-doubt. There have been a lot of moments in the past few weeks where I really doubted that I could make this work, or that this was even a good idea. 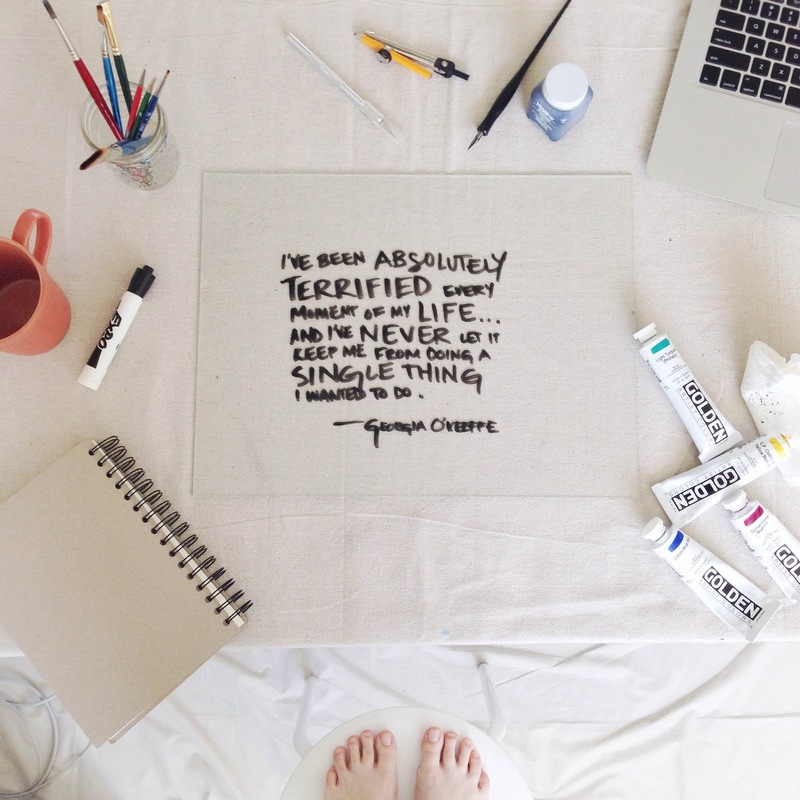 This includes being an artist, running my own business, even blogging -- everything is new for me, and even some of the little parts of it can be intimidating. This weekend I visited the Georgia O'Keeffe exhibit at the De Young Museum and was really interested to learn many of her paintings came out of moments of negative feelings -- pain, sadness, maybe even anger. Yet (I think) they are truly beautiful paintings and create a lightness and happiness within their own world. I've been terrified every moment of my life, and I've never let it keep me from doing a single thing I wanted to. Yes and yes. Pushing through the hard stuff today. Best of luck with everything you're trying to make happen! P.S. As I was working on writing this piece, Emma's post on a similar topic popped right up! Always reassuring to know that other people are going through similar things!